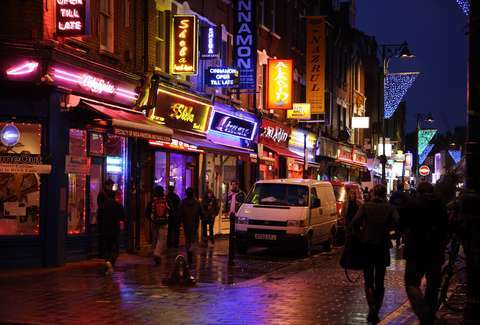 Because the best things to tick off your bucket list are the ones that might legitimately bring you closer to that bucket, every Londoner at some point needs to get a curry on Brick Lane. The only problem: it's absurdly difficult to tell the good curry houses from the bad, unless you're already a regular... that is, until now. With a callous -- in fact, borderline foolish -- disregard for our tastebuds’ heat tolerance, we went and rated all of them from worst to best. Note: to keep things vaguely manageable, we restricted ourselves to the curry house epicenter that starts on the corner of Woodseer St, and extends all the way down to Fashion St. The vibe: Sister restaurant to Prithi. Although it’s significantly bigger, Preem's staff goes that extra mile to hustle you into ordering more than you actually want, and you can be sure their recommendations won’t be the cheaper options. What to get: Well, you can get a table... guess that’s something? Anything to avoid? Do yourself a favor and just skip this whole shebang. The vibe: If you like the 1970s, you'll love this joint's interior. The staff is generally friendly enough, though they will try to up-sell the hell out of your meal. 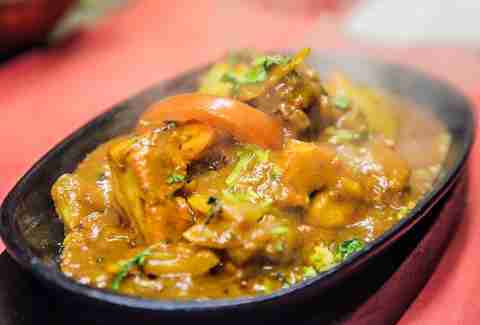 What to get: It specializes in Bangladeshi cuisine, so definitely order a curry. Anything to avoid? When they offer a free beer with your meal, don’t get too excited -- those are ⅓ pints. The vibe: It’s cheap and easy, with a fondness for British cultural decorations... which frequently brings in large groups of traveling students taking a million selfies. What to get: The naan is where it’s at. Anything to avoid? The staff may be plentiful, but that doesn't mean the service is excellent. The vibe: This is the first spot you hit once you cross the curry divide of Brick Ln, and man, do they try to get your business. You can wheel and deal them to some crazy low prices, but just remember to make sure they hold up their end of the deal. What to get: It’s all OK, but a little bland. Anything to avoid? Walking in and expecting a palatial amount of room -- they really like to squeeze you in. The vibe: They might be smiling and nice while offering the usual 20% off standing outside, but the waiters inside frequently have no clue. Good thing the food is generally on the alright side. What to get: The chicken jaipuri is pretty solid. Anything to avoid? The service is notoriously terrible, even for Brick Ln. The vibe: You might think the upstairs “mezzanine” might mean it's a touch classier than the average Brick Ln joint, but you would be sadly mistaken. What to get: The butter chicken can be delicious. Anything to avoid? Papadoms can be amazing... but not here. The vibe: Big and bright, with lots of windows, it still manages to cram in a million tables, so be ready to hear everything about your neighbor's life. The food is pretty inconsistent, and it feels like they're kind of making it up as they go. 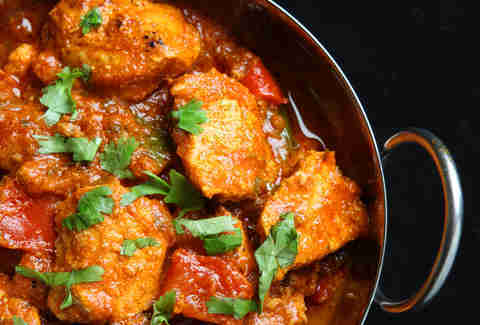 What to get: The heat on the chicken chili masala is just enough to get your blood pumping. Anything to avoid? They haven’t really figured out the whole presentation thing yet, so don't expect works of art. The vibe: Although these guys seem to think that if they decorate with strange rainbow lights and fancy folded napkins, they aren’t the same as every other Brick Lane spot, the service here is borderline not terrible. What to get: The lamb Rogan josh gets high marks, if that's your fancy. Anything to avoid? The mixed grill is lackluster. The vibe: There’s a lot more space here than you'd imagine, so if you plan ahead, you can get a big group booking easily. What to get: The mixed grill is the way to go. Anything to avoid? The service borders on slow, with a side of rudeness, and the portions are smallish. The vibe: While this place has better service than some around, it keeps things pretty straightforward, with minimal decor and even more of the strange multicolored lights. What to get: The papadums are amazing. Anything to avoid? If you like sweet food, it’s your lucky day. Most of the dishes are notoriously sweet and syrupy. The vibe: Some people have fond memories of this place from as far back as the ‘50s. But these days, both the food and the service seem to yo-yo between great and horrendous; Russian (or Indian, rather) roulette at its finest. 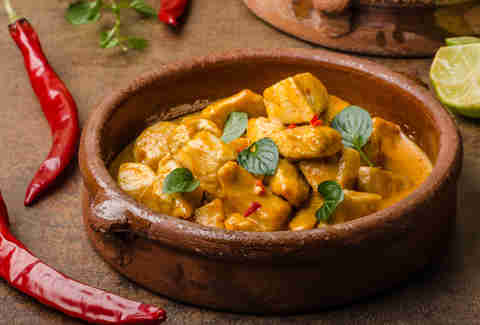 What to get: The curry, although sometimes it's a bit bland. Anything to avoid? Unless you like the thrill of uncertainly, the whole place in general. The vibe: The neon sign outside shines like an epic beacon, drawing in drunk wanderers like moths to a flame, except that the food isn’t nearly as hot or dangerous. Big plus: it fully supports BYO, and there's an off-license 50m away, so go prepared. What to get: The saag aloo hits the spot. Anything to avoid? The staff are either super on it, or forget you exist. But hey, you’ve got booze already with you, so that’s half the battle. The vibe: One of the newer additions to curry lane, it's still finding its footing a bit, but the food is pretty consistent. 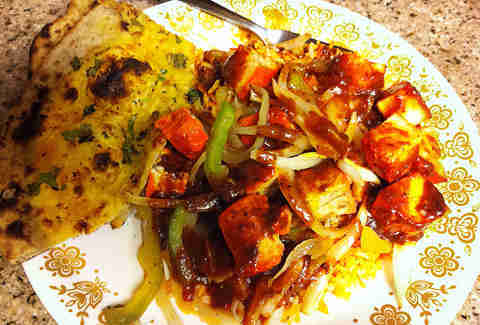 What to get: The paneer gets flying colours. Anything to avoid? Be wary when ordering the balti. The vibe: Super-friendly staff, but the food is just OK.
What to get: They’ve got the spices for the masala down. Anything to avoid? Ditch the lamb tikka... at least, they say it’s lamb…. The vibe: This tiny Bangladeshi cafe doesn’t deal with airs and graces, but the food is consistently good, as long as you like home-style cooking. What to get: Talk to the owners about their fish curries, they’re outstanding. Anything to avoid? Desserts aren’t really their specialty. The vibe: Looks are deceiving here -- while this place feels like a doctor's office, it's actually a pretty decent Indian spot... with a habit of playing epic Bollywood flicks at the bar at full volume. What to get: Go for the balti prawn. Anything to avoid? 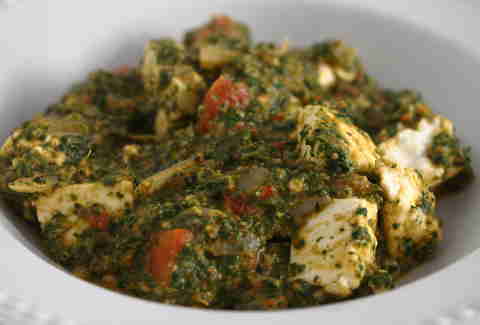 Don’t bother with the saag paneer. The vibe: Until very recently, this exact same spot was called Cafe Bangla. Known as one of the more solid joints on Brick Ln, it took a slight turn for the worse, then slapped on a new name to try and drum up new business. The kitchen is now pumping out relatively trustworthy meals, so yay. Luckily the, um, artistic (read: borderline softcore) murals, including a massive one of Lady Di, are still in place... so be sure to give those a once-over. 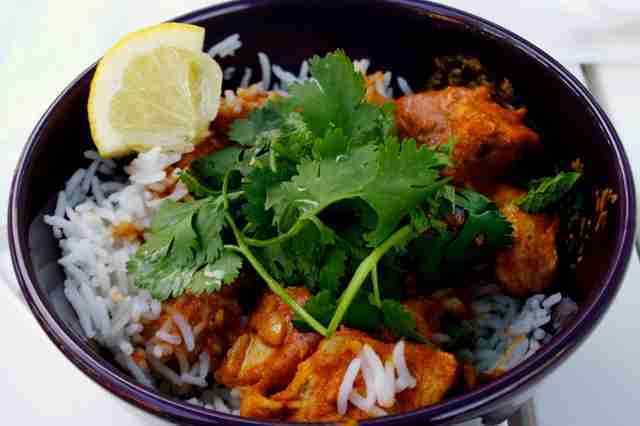 What to get: The chicken tikka masala remains a solid choice. Anything to avoid? Their beer tastes on the light side. The vibe: Lots of reclaimed wood, crazy-colored chairs and... Argentina steak? Wait, are we still on Brick Lane? What to get: Embrace your inner carnivore and get your cow on. Anything to avoid? The chips are sadly underwhelming. The vibe: Very basic decor, but hey! They’ve got WiFi! Service is the usual hit-or-miss routine, but sometimes they really get it right. What to get: Mixed grill and naan are the way here. Anything to avoid? Don’t bother with their watered-down lassis. The vibe: Despite the garish yellow front, the interior is pleasantly ornate: layered tablecloths, proper wine glasses, fancy moulded ceiling tiles. Maybe they have a little extra to spend on decor, as they seem to be consistently on the better side... even if they do tend to rush you through. What to get: The vegetable curry is good enough that even meat eaters will be pleased. Anything to avoid? The popadoms are a bit (unnecessarily) pricey. The vibe: One of the older spots on Brick Ln, Sheba has been around since 1974. Their no-frills approach might rub some people the wrong way, but their food is why more people make the trek. 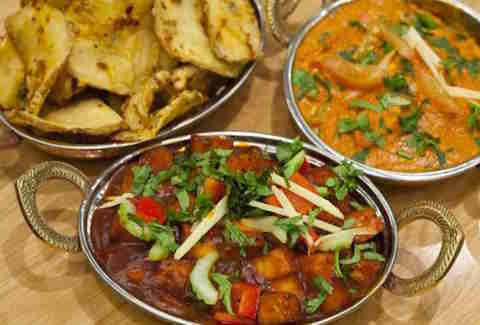 What to get: They won Best UK Curry House in the Cobra Good Curry Guide 2013, so if logic follows, get the curry. The vibe: Although slightly on the gaudy side of things, they mean well here with attentive staff and solid menu options. 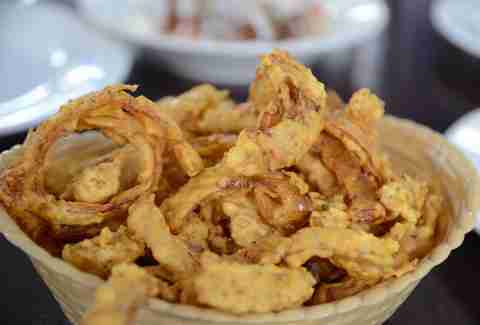 What to get: When onion bhaji are fresh, they are amazing... and these are straight out of the frier. Anything to avoid? 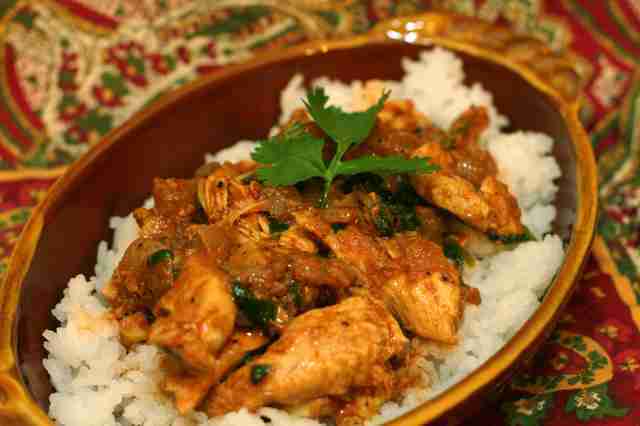 The chicken balti tends to be fairly tough. The vibe: With white table cloths and folded red napkins, this place is trying to bring it up a notch. But if you pop downstairs, the lights are dim, with a strange rainbow light thing going on. Party time? What to get: If you’re looking to plan ahead a little, these guys are actually pretty good at large groups on the the cheap. Plus BYO! Anything to avoid? One of the more consistently slightly-better-than-average spots, actually. The vibe: In this part of town, you get what you pay for, so do yourself a favour and pay the slightly high prices. It’s totally worth it. Just put your haggling hat on and make them work for it. What to get: The garlic chili balti with prawn will have you sweating in all the right ways. Anything to avoid? Try to go on the quieter nights. Rumour has it they sometimes cut corners when it gets too busy. The vibe: Standing out like a hot red-headed step child, this Italian pizzeria is absolutely killing it. Ditching the whole curry thing for the other kids to quibble over, it serves wood oven-fired pies, massive classic mains, and easy pasta. What to get: You really can’t go wrong with their fresh pizzas. Anything to avoid? The chicken escalope sometimes becomes a little more like road kill: super flat. 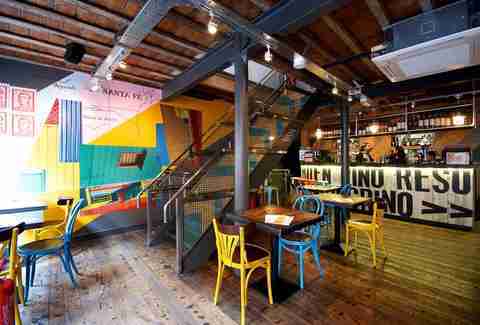 The vibe: Skip the Eurostar and just visit this cute French spot tucked away at the end of Brick Ln. It’ll transport you to the countryside and blow your mind. What to get: Everything. This place can seriously do no wrong. Anything to avoid? Nothing. Those curry shops could seriously learn a thing or two. 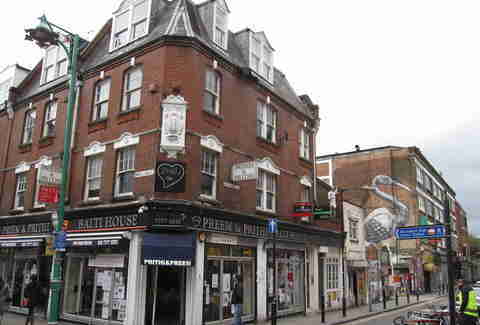 Haley Forest is a food & drinks writer who generally avoids Brick Ln like the plague, except for bagels in the morning and Chez Elles in the evening. Follow her at @HCForest.